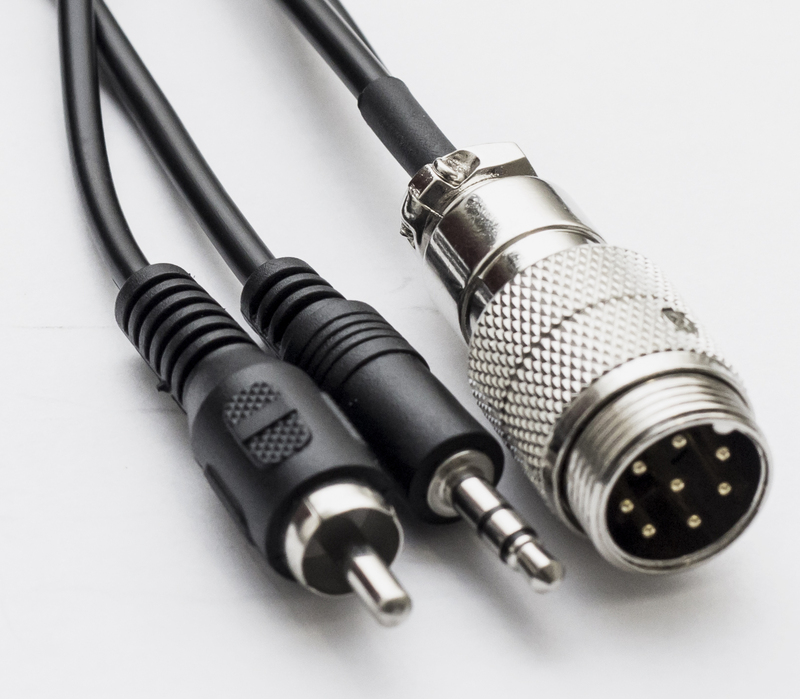 This adapter cable is used to connect an 8 pin foster microphone to the FLEX-6400(M) or FLEX-6600(M) 1/8" TRS input and RCA input for PTT. The cable is 8 inches in length. This adapter will not work with a Condenser microphones or microphones that have a Up/Down button as there is no Bias voltage available. It will work with a Microphone with a Dynamic element. The 8 pin Foster is wired in a Yaesu HF format supporting only Mic Audio and PTT functions.